This book will open up the underwater world of the Caribbean to everyone interested in exploring this vibrant environment - from those who know its waters well to those who have never visited. Conversational, beautifully illustrated, and loaded with information, A Guide to the Coral Reefs of the Caribbean is both a guide to the natural history of the coral reefs of the region and a diver's travel guide. In addition to providing comprehensive and easy-to-use information about some of the most popular and beautiful tourist, diving, and snorkeling destinations in the world, this book offers advice and practical suggestions to readers who want to protect these stunning, vital resources. Spalding is a highly acclaimed coral reef scientist who has visited and worked on coral reefs in over thirty countries. This guide is endorsed by the United Nations Environment Programme (UNEP) and the World Wildlife Fund (WWF). 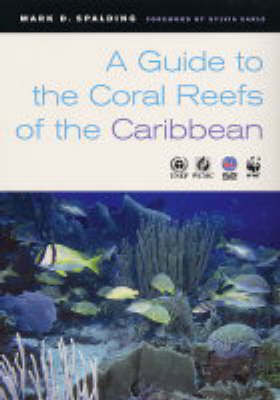 The first section provides facts about reef wildlife, the interactions between humans and reefs, and the Caribbean area in general. Spalding discusses the problems facing the reefs, with a focus on what each person can do to protect them. The second section comprises thirty-five country-based chapters that provide key information about the coral reefs, marine parks, points of general interest, remote places, and unusual species. Throughout the text a set of stunning maps show the islands, coral reefs, marine features, dive centers, and many other key sites. Section three provides a photographic field guide and inventory of the marine flora and fauna of the region. The book concludes with useful listings of the best-known conservation groups, providing an opportunity for locals and visitors to get involved at a practical level.